The webinar recording is available at Webinar On-Demand. I told stories about TechWomen (working with women and girls in the Middle East and Africa), and about the SEED Engineering mentoring program I ran at Sun Microsystems for ten years. The 2009 technical report about Sun’s program was also mentioned. 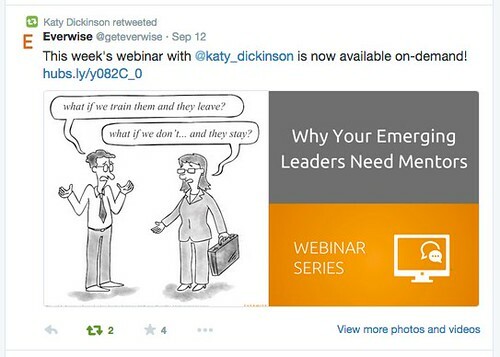 The next Everwise webinar will feature CEO/Founder Mike Bergelson interviewing Lauren Leader-Chivee on “Women in Leadership” on 14 October 2014.